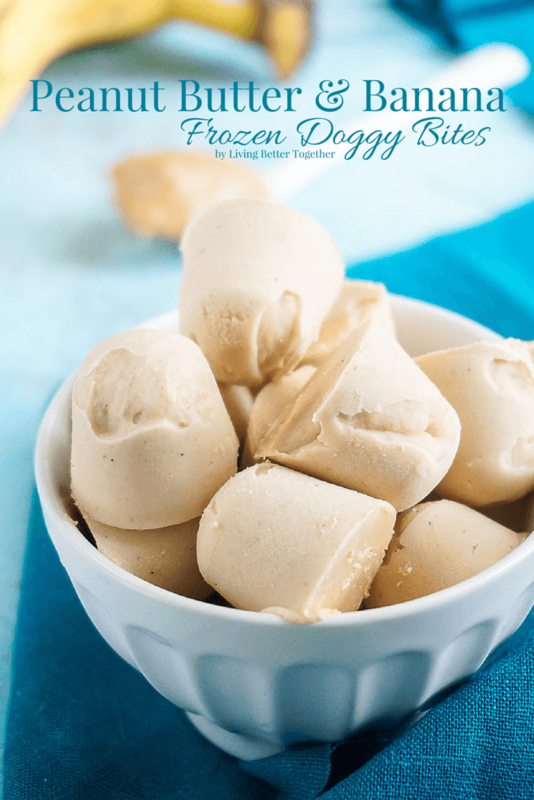 These Peanut Butter & Banana Frozen Doggy Bites are the perfect treat for the pups when the days are hot! Just two ingredients and 10 minutes to make! With the weather we had last weekend and more of it right around the corner, I wanted to whip up something cold and delicious for Shoester. I recently purchased this awesome Easy Push Out Ice Cube Tray, this thing is slick and great for making all kinds of things other than ice cubes. So why not make some frozen doggy treats with it. Like most dogs, mine is a peanut butter addict, so I figured I’d go from there. I didn’t want to get too crazy, as this was the first time I was attempting to make these, so I kept it simple with two ingredients. Buy An Easy Push Out Tray To Make These! Shoester gets super excited about these every time I make them. He’ll watch me whip them up and when I put them in the freezer he looks all sad and mopey, but the excitement returns when Mumma pulls them out of the freezer and pops a few out of the tray for him! I hope your pup(s) enjoys them as much as mine did! 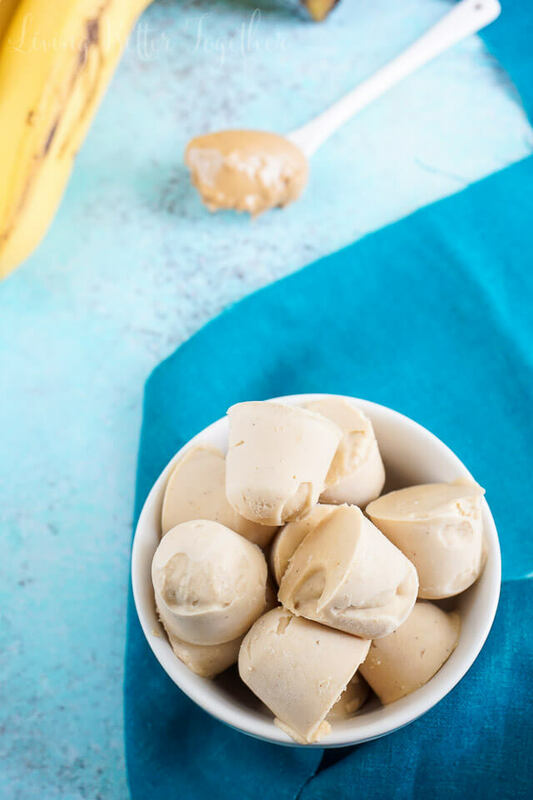 If your pup has a birthday coming up, be sure to make these Peanut Butter and Apple Pupcakes for them and make some Peanut Butter Cheesecake Dip for yourself! 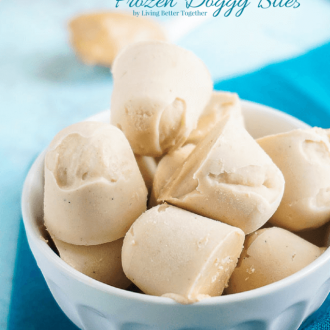 These Peanut Butter &amp; Banana Frozen Doggy Bites are the perfect treat for the pups when the days are hot! Just two ingredients and 10 minutes to make! Mix ingredients together with a fork until well blended. Use a butter knife to transfer mixture into an Easy Push Out Ice Cube Tray. You could use a regular ice cube tray, but they might not come out as easily, with this one you can pop them right out. It can get a bit messy, so use the knife to run over the top on the tray and remove any excess. Also, be sure to push mixture down so that they are nice and full. You can do any mix of yogurt flavors you like. Shoester really likes 6 oz. Vanilla Bean Yogurt and 6 oz. Banana. Thanks for sharing! I’ve never made my own dog treats but it looks simple enough!